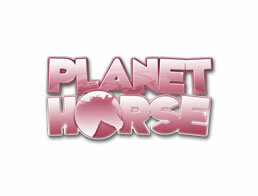 Planet Horse Game - Download and Play Free Version! Planet Horse is an engaging horse simulation that captures the magical bond between animal and rider. If you have a passion for horses, this is the game for you! This game won't allow you to participate in any of the activities if the horse's needs are not met. Giving your horse a good brushing to clear away a day's worth of trail dust is turned into a fun minigame that you will actually look forward to. This game gives you full control over your new steed from the start. An amazing 7 breeds are available for you to choose from, including exotic choices such as zebras and unicorns. The game doesn't make you wait to unlock these fantastic creatures; you may start your equestrian career with them if you like. Markings, colors and even personality are also customizable at the start of the game. Choose the horse personality that appeals to you the most, from high jumpers to speed demons. This game has it all! The customization doesn't stop there. As you progress through the game, new items may be purchased from the shop, both for your horse and the rider. These premium items give the horse and rider a totally unique look! The graphics in Planet Horse are lush and vibrant, which is perfect for this type of simulation game. You will really feel like you are out enjoying nature on horseback. The sound effects are also well chosen, further giving the illusion of peaceful, idyllic nature scenes. Your horse will also huff and puff during physically demanding activities, just like a real horse. You will select a specific horse personality complete with a built in aptitude for certain activities, but that's only a starting point for your horse's education. Skills may be leveled up through trial and error, leading to a stronger, more rounded steed. 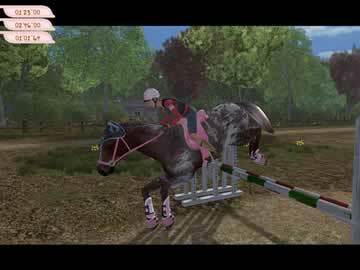 Leveling up each horse's skills means that you will enjoy this game for hours and hours! Everything in this game is controlled by mouse clicks, making this game easy and natural to interact with. You will enjoy navigating your horse with the simplicity of clicking the mouse. Choose between cross country events, show jumping and free riding. Each gameplay mode contains a variety of related activities and challenges designed to keep you busy for hours to come. If you have a place in your heart for horses, Planet Horse will be a worth addition to your gaming library.